People have become more health conscious lately and it has led to the increasing number of fitness hotspots like gyms, spas and even at open places. As a beginner, a treadmill is always the first option to go for. So, the treadmills fitted at these places are expected to undergo a rigorous workload every day and this is where commercial treadmills come into play. Commercial treadmills have sturdier and durable build which can withstand more than 6 hours of workload every single day even with the people having heavier weights. They have a larger running area and don’t require much maintenance making it the perfect choice for a gym. They have more powerful motors but are more expensive than home treadmills. Even the best commercial treadmills in the market are static, taking up a large area and lack the compactness of folding residential treadmills. Another variant, a light commercial treadmill can be used for less than 5 hours a day. Sometimes people choose a commercial treadmill for home purpose considering its durability but it all comes down to your choice. It is always hard to find the right treadmill so we have put together a list of top 5 commercial treadmills which are the best in the category. 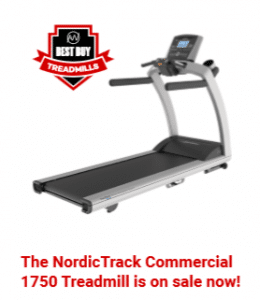 What to Look for in Commercial Treadmills? Fitness enthusiasts become too hasty when it is time for buying the next fitness equipment. And when it comes to treadmills people choose between commercial, light commercial or residential randomly without much thought. The equipment you choose may not always be the sturdiest or the most durable one so you must be careful while buying your next treadmill equipment. We have put together a guide that can help you in choosing the right type of treadmill. The guide will highlight the features to look for in the best commercial treadmill or to choose another kind. Top speed requirement varies with the type of people working out on the treadmills. So, it is an important factor to consider buying any kind of treadmills. A runner requires a treadmill with higher speeds while a walker does not require that much of speed. Best commercial treadmills of 2019 are used by a variety of people so it must be capable enough to serve a wide variety of people. So the best commercial grade treadmills will always have the facility to easily change the speed and will have a high top speed. Different methods are adopted by different manufacturers for controlling the speed. Some fit controllers on the handlebars while some others have it at the center console. It is the powerful motor that gives life to the treadmill. The power of a treadmill motor is measured in Continuous Horsepower (CHP). Higher the CHP of the motor the better the treadmill will be at handling strenuous tasks. What we consider as the best commercial treadmill for home use usually have a good self-cooling capacity and are capable of running at very low RPMs too. We prefer motors with CHP ranging from 3.5-4 as they provide a much smoother experience to the users. Generally, the quality of rollers isn’t considered much while choosing a treadmill. But we recommend buying commercial treadmills with good quality rollers because the lifespan of the belt is hugely dependant on the quality of the rollers. The best commercial treadmills in India often have bigger rollers and they play a crucial role in reducing the friction and tension on the belt prolonging the life of the belt. Their rollers are usually sized between 3″ to 3.5″. Commercial treadmills are used heavily by a number of people so they must be resistant to easy damages and have greater longevity. So they are manufactured with good cushioning and deck thickness. Using reversible phenol wax-coated decks help a lot in extending its life. Once they are worn out on one side you can easily turn them upside down and it will be as good as new. Best commercial treadmills for gyms will always have a good shock absorbing facility to lessen the impact you will have on your joints. Shock absorbers are present in front of the desk for cushioning the footfall and they are stiffer at the back of the treadmill for giving a firm pushes off while running. Treadmills with adjustable cushioning are also gaining popularity in the market. The size of the belt is relative to the kind of exercises you choose to do on the treadmills. But commercial treadmills require larger size covering most of its users. An orthopedic belt is a good option to choose from but we will not advise you to use one as it can significantly reduce the life of the bearings and rollers. Running shoes can act as a good alternative to an orthopedic belt. A belt four-ply size is mostly preferred in a commercial treadmill. A commercial grade treadmill is built to last longer and work for the maximum number of people than residential treadmills. So a quality motor is a necessity while choosing a commercial treadmill. It must be efficient enough to run at different speeds and must also have a good top speed. Treadmills with lower-end motors must be avoided as they can wear out really soon resulting in an early maintenance cost. It is difficult to identify the quality of the motor but one can check the maximum speed to find the best commercial treadmill. An incline can increase the productivity of your workout. It increases the effort required to do a normal walk or run by mimicking climbing actions. Because of this most of the commercial treadmills for sale come already fitted with incline adjustment mechanisms. Manufactures adopt different methods in their machines to change the inclination. On some of the treadmills, the inclination has to be adjusted manually after getting off the treadmill but there are various machines which have other comfortable methods like pressing the hydraulic button that will adjust the inclination of the treadmill. And of course, there are commercial treadmills that come without inclination. Generally, they are chosen by people who fear that the additional mechanism can affect the longevity of the product. Neither of them can be called the best treadmill exercise machine unless they efficiently suit your purpose. So choose longevity or productivity as your preference wisely in choosing a treadmill. The display is a significant part in every treadmill that helps you in communicating with the treadmill and also in monitoring your health statistics. An expensive machine will have beautiful displays with features to add your TV channels and music to it and may even come with touch screens. But user-friendliness is what actually matters in a treadmill if you can’t utilize the advertised features then it is of no gain. Also, keep in mind a commercial treadmill is used by different kinds of people so the durability of the treadmill is extremely dependant on its easy usability and sturdiness. So a simple treadmill with useful features is always the best option to choose. Shock absorbing property of the treadmill makes it a better alternative to normal countryside running or jogging. Running on a rough terrain can actually deplete your health by creating adverse impacts on your joints. But be wary of commercial treadmills that have too soft surfaces because it isn’t needed. A commercial grade treadmill with a stable deck that isn’t too soft or hard is required. Reputed companies often conduct researches to find out the exact amount of shock absorption needed in a treadmill to give maximum comfort and maximum output. Many reputed companies offer warranties for a period of more than 2 years and a lifetime warranty on some parts. So the chance of inquiring too much expense on treadmill maintenance at an early stage is negligible. Expensive commercial treadmills usually have self-lubricating systems but cheaper ones need to be regularly lubricated to avoid damage of the motors, belt, deck, and other parts. Also, ensure that the treadmill manufacturer has service points near your location for faster and easier maintenance. 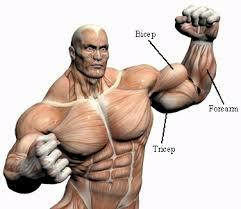 It is the workout programs that make treadmill fitness equipment with a lot of variety. Contrary to the popular belief of seeing it just as a machine to just walk or run on it can offer many workout routines. These workout programs can be a lot helpful for planning your workout session and it varies with different manufacturers. All the workout routines can stimulate your normal walking or jogging routines like running at different speeds, uphill and downhill climbing, etc. The inclination and power of the motor are utilized well for creating custom routines. A stronger frame ensures higher endurance against harsh and long-term usage. So commercial treadmills are manufactured using high alloy steel or aircraft aluminum. Each part of the frame is welded together rather than being assembled to increase the durability. Most of the companies offer lifetime warranty over the frames. And treadmills must able to endure the weight of people with more than 350 lbs. A treadmill is identified as jogging equipment but a plethora of different treadmills are now available in the market. And each of them has distinguishable features that set it apart. Some of the features are a necessity while some are optional. A treadmill must always have a deck or space where you can keep your bottles, watch, mobile or any other thing that you might need while working out. So that nothing can distract you while working out. Having long and strong handles is also a good advantage as it can give you good support during accidental falls. Generally, a commercial grade treadmill provides a lifetime warranty on the frame, 12-years for the electric motor, 5-years for the parts/electronics. Some of the even provide 2-years free maintenance. But make sure that you take good care of your machine by cleaning it up and preferably using a mat under the machine to avoid debris or other dust particles from entering the motor. This can prolong the life of your treadmill. Are Commercial Treadmills — Worth the Price? The value of a commercial grade treadmill has always been debated over the years. Claiming that it does the same work as that of any other treadmill is the common argument made against it. But the reality is different on the spec sheet and in real life; a commercial grade treadmill will outperform any other treadmills in all the categories. So it is worth every single penny that you pay for. But unlike residential treadmills, it can’t be folded so it takes space. Unless you are bothered about it and have enough money then go for it. Commercial grade treadmill in a gym is expected to be highly durable and versatile to a large number of users. So make sure the qualities mentioned below are found in the treadmill you pick. Some of the best commercial treadmill brands are Livestrong LS13.0T, LifeSpan TR5000i, ProForm The Official Boston Marathon 4.0 and they are available for under 2700$. Should you go for a Commercial Treadmill at home? A commercial treadmill for home is always a better option than residential treadmills. We should focus on the advantages of commercial grade treadmills and understand how they are superior and in some cases much better performers than normal treadmills. Commercial treadmills are always a better investment if you look at the advantages it has over other kinds. If you can afford it then don’t hesitate to buy it. If you have gone through our detailed review as per consumer reports then you should now be able to pick the right commercial treadmill for working out. And you must have also become more aware of the features to look for and the best brands available. So make a wise decision by choosing a treadmill with all the necessary features and quality. Since you are spending a lot of money, make sure to double check their return policies and also the details regarding the maintenance of your new treadmill. Good luck and have a healthy future ahead.